Meet our keynote speaker, Aaron McDaniel, a corporate manager, speaker, and author. 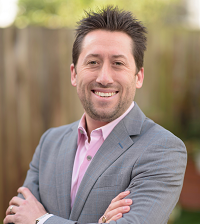 Aaron is one of the youngest faculty members at UC Berkeley’s Haas School of Business, and he has a passion for helping organizations better engage their Millennial customers and empower Millennial employees. This year we are traveling south to explore Vancouver, WA, and its new Waterfront Park, which is a short walk away from the conference epicenter. Downtown Vancouver also offers many walkable food and entertainment options. Get ready to experience the local flavor! Learn more on the hotel and travel page. Thursday morning attendees can join instructor Mark Brown for MOSSA Group Fight®, a thrilling mixed martial arts fitness class; or go for a mind-body workout Friday morning with MOOSA Group Centergy®, instructed by John Kukkonen. WRPA will also be providing walking maps so attendees can stretch their legs and explore the town before sessions start or at the end of their day. We can't tell you much right now, but prepare yourself for some exciting post-session events. There will be an offsite social Wednesday evening and a post-banquet social on Thursday. Stay tuned for more details. This year we have been hard at work choosing exciting and informative speakers and we have revamped the schedule to provide attendees with time for post-session networking. Check out the schedule at a glance to learn more. Register today at the early bird rate! Prices end on February 8, 2019. Comments on "Five Reasons to Attend the 2019 WRPA Conference & Tradeshow"